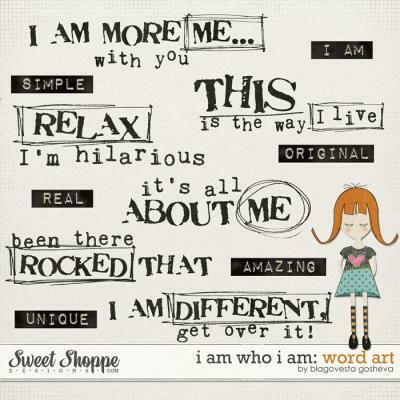 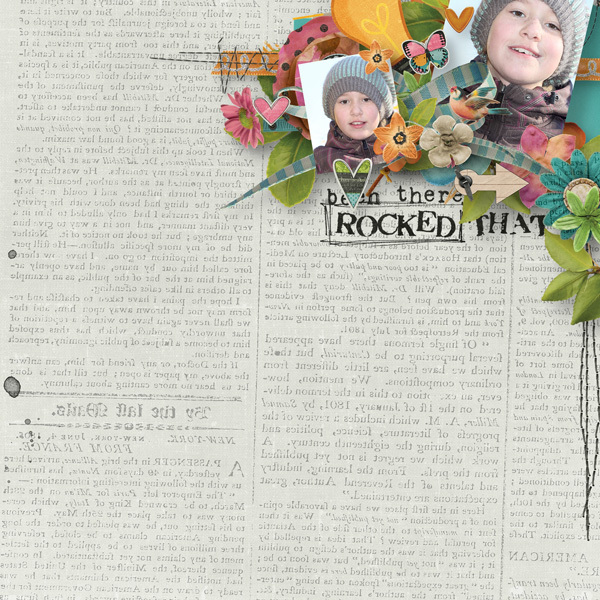 Do you like to scrap "me" pages? 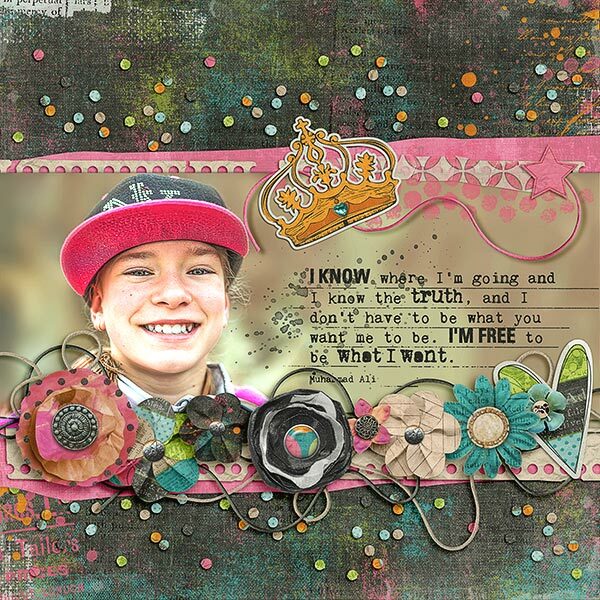 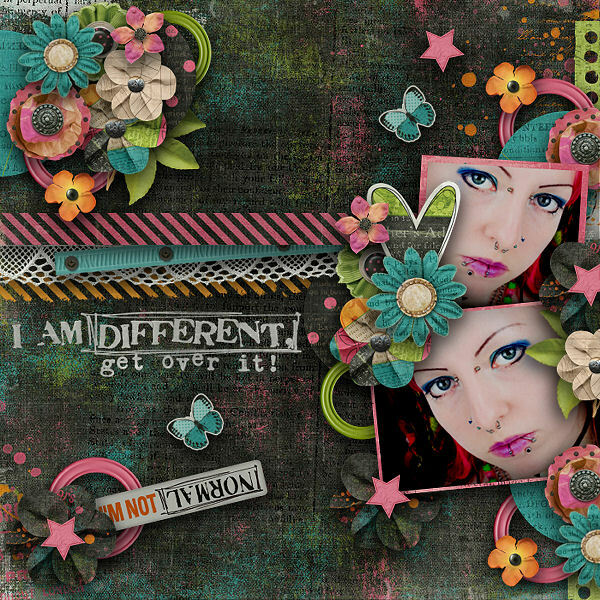 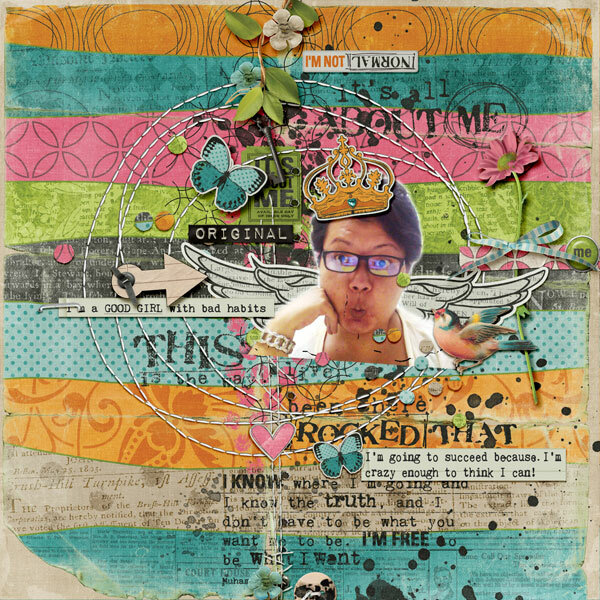 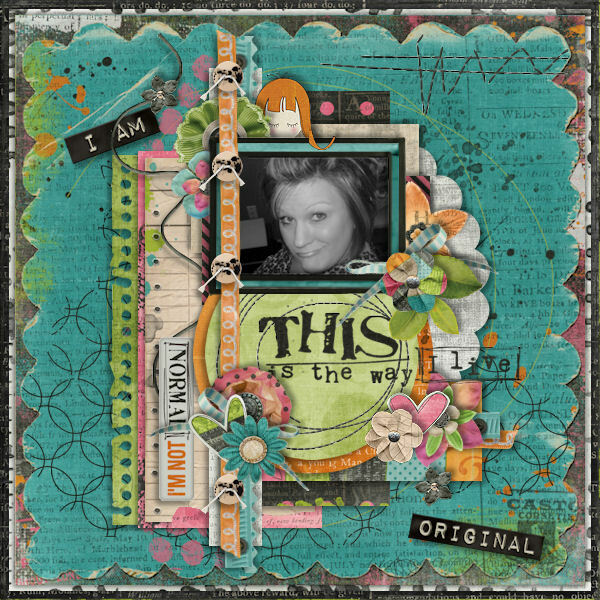 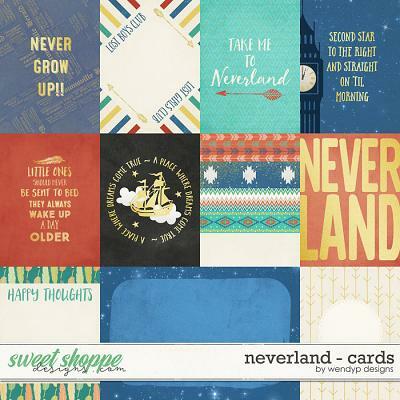 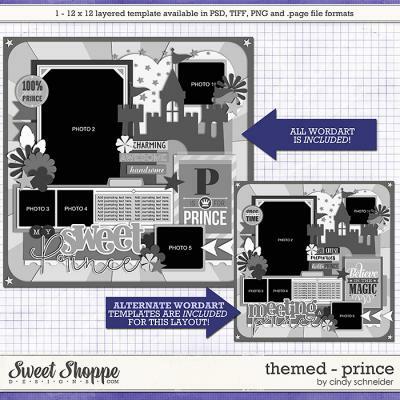 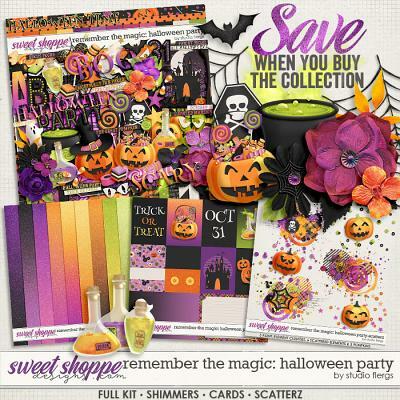 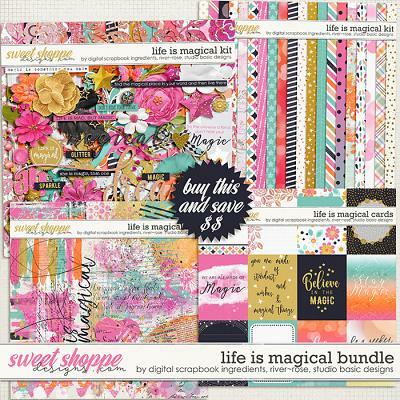 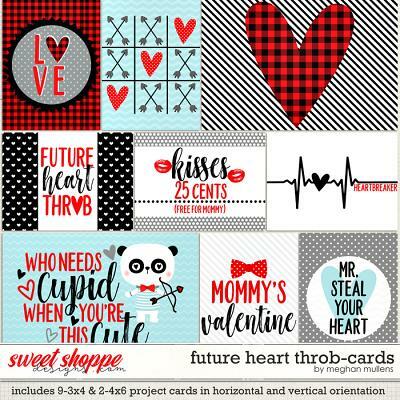 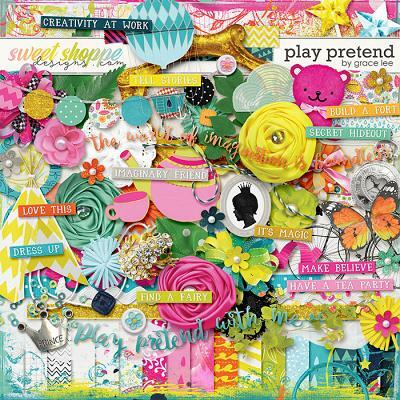 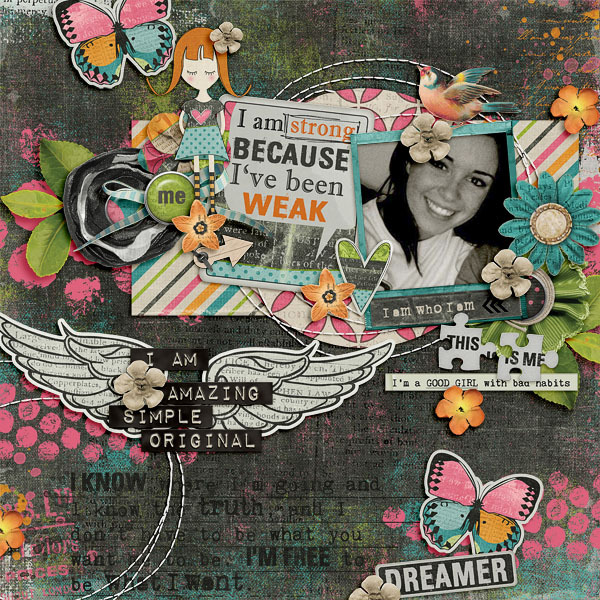 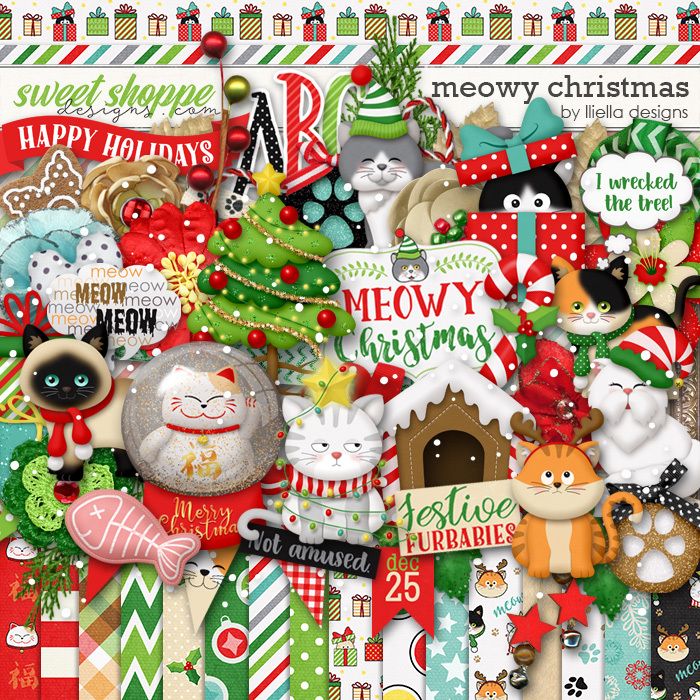 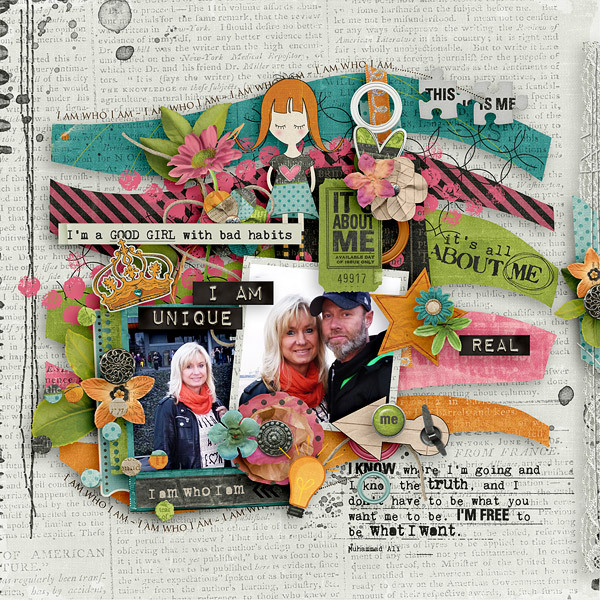 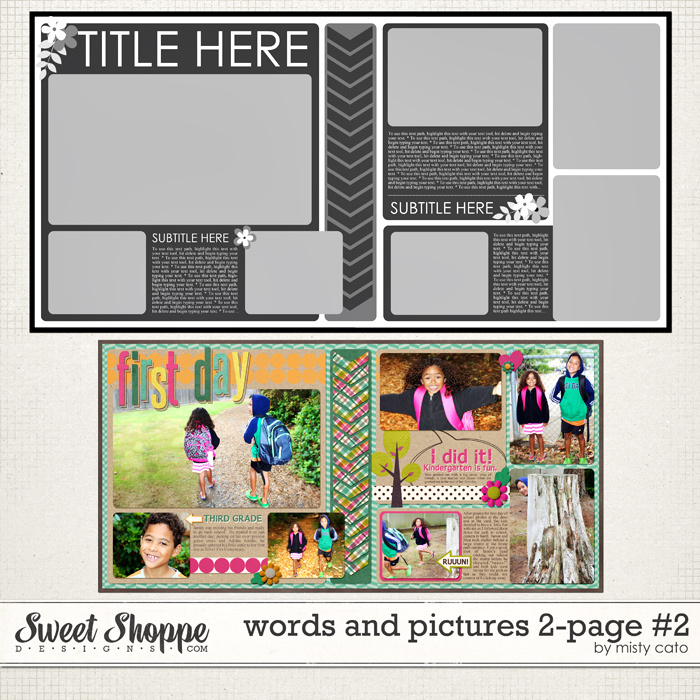 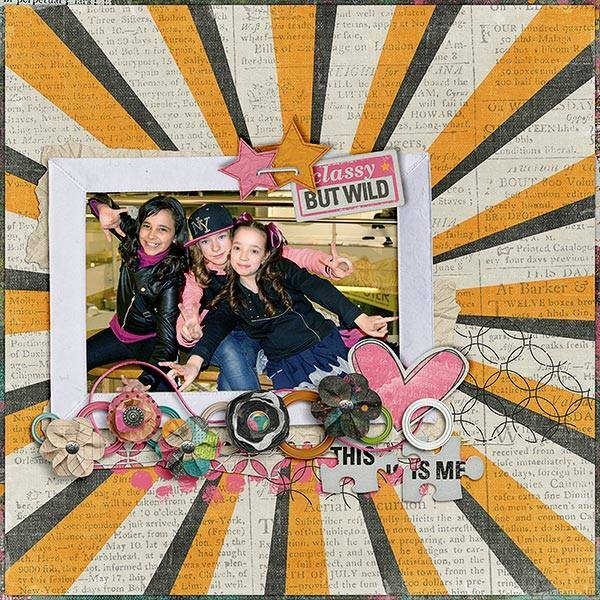 If so, this beautifu artsy kit will make your page pop! 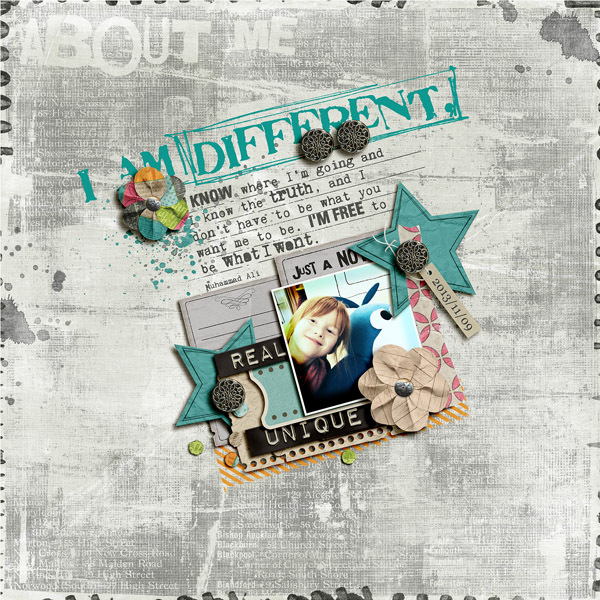 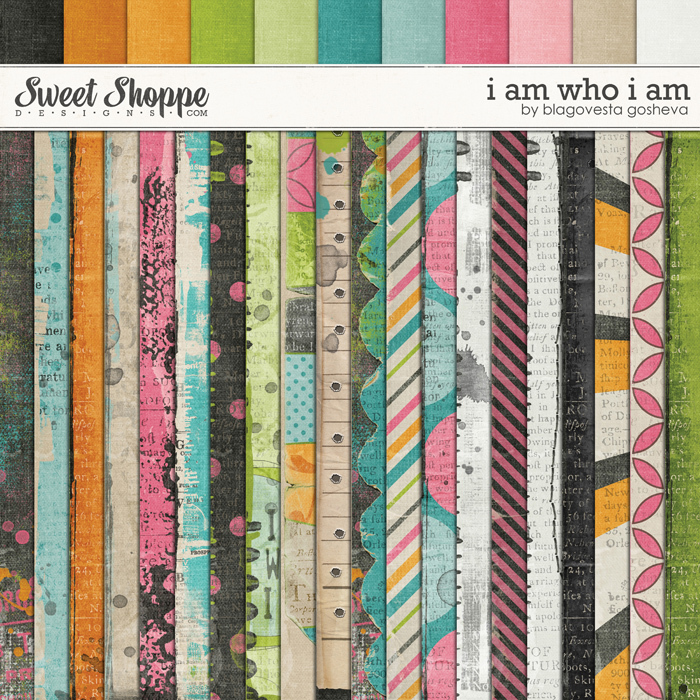 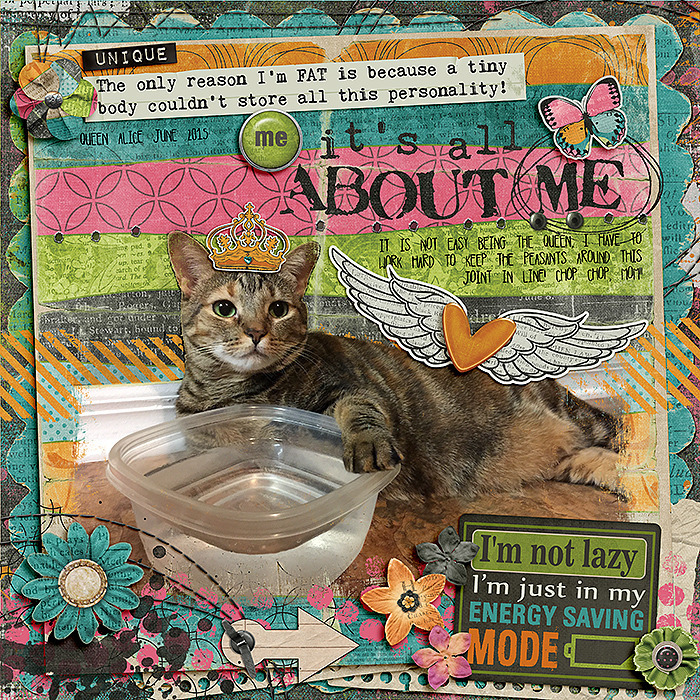 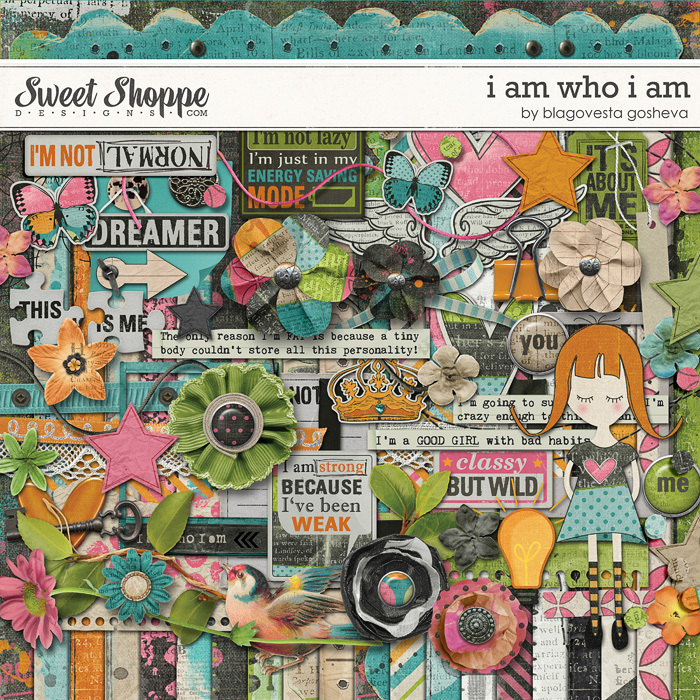 Packed with 31 papers and 90 cool elements I am who I am is pretty versatile for other layouts as well. 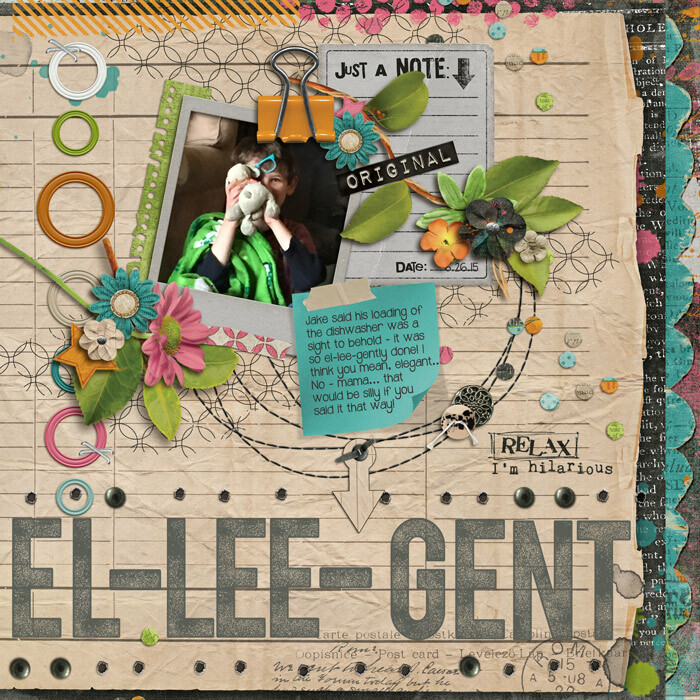 Contents: 20 patterned/brushed papers, 11 textured solid papers, 3 frames (one of them with and without word art), journaling card (with and without word art), 3 artsy paper flowers, 5 large stacked felt flowers, 5 small felt flowers, 1 real flower, 3 hearts, crown, 1 arrow, 1 bird, 1 border, 1 bow, 2 brads with word art, 2 branches, 1 bulb, 2 butterflies, 2 buttons, 1 clip, 1 artsy girl, key, 1 label, lace, 1 note (shadowed version also included), 3 overlays, 1 splatter, 1 quote (stamp), 2 ribbons, pieces of puzzle, rings, scatters, staple (shadowed version also included), 1 paper star in 7 color variations, 4 stitches (shadowed versions also included), 3 strings, 1 tag, 2 tapes, 1 retro ticket, 2 torn paper pieces, wings, 8 word bits.